Until a few weeks ago I thought that 2014 was going to turn out to be a relatively poor year for cinema-goers. There was a flurry of interesting films in the spring but with a total lack of big name films such as James Bond or Star Trek, there seemed to be a long period where we were bereft of anything more substantial than a throw-away comedy, second rate animated movie or a marvel style comic book adaptation which frankly I am not a fan of. Happily though this all changed for the better around October time and the year finished with a glut of good quality viewing. I postponed writing this blog to see if Paddington was as good as the hype. It wasn’t quite but it was still extremely good. 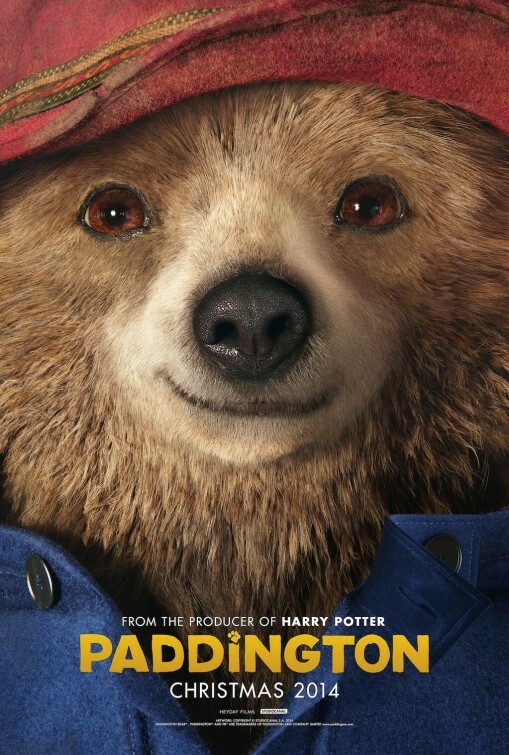 For those of you who don’t know, Paddington tells the story of an orphaned , marmalade sandwich munching, talking bear from darkest Peru who is found homeless at Paddington train station in London and is taken in by a well-meaning family who have no idea of what they are letting themselves in for. Paddington bear from darkest Peru. I like an old-fashioned thriller and this one by first time director Hossein Amini and based on a much older novel tells the story of two rich Americans visiting Athens in the 1950’s who are forced to flee after becoming involved in the death of a ‘heavy’ for a money laundering gang. This is a real film noir and feels just like an Alfred Hitchcock film with lots of great scenery, a sense of foreboding and a steady flow of twists and turns means that I got this on DVD as soon as I could, having already enjoyed it at the cinema. They don’t make films like this any more! I liked the first Hunger Games film but thought the second one was a let down. I’m always fed up with one-hit wonder films that don’t know when to quit and quite frankly I’d be very happy to see another Hunger Games style film only with different characters and different fighting tricks, I could’t care less about the big narrative plot but that’s fine as I’m not a teenage girl. Divergence is more my up of tea and it is clearly set out for sequels before you get very far into the film. The story is exciting and the young actors do well. There are some great scenes and action in the film, I particularly enjoyed the training sections though thought not all of it made much sense. I look forward to seeing more from this series next year. I don’t know about you but I really don’t like most Hollywood comedies. They seem contrived and stupid. It’s bad enough seeing teenagers acting stupid but so many films seem to have their main characters, especially men obsessing about partying and getting girlfriends, making jokes about their parents when they are far older than anyone I know who is single and getting on towards the age where they could be grandparents. There was a time when comedy was clever or a bit quirky and this film is a good example. 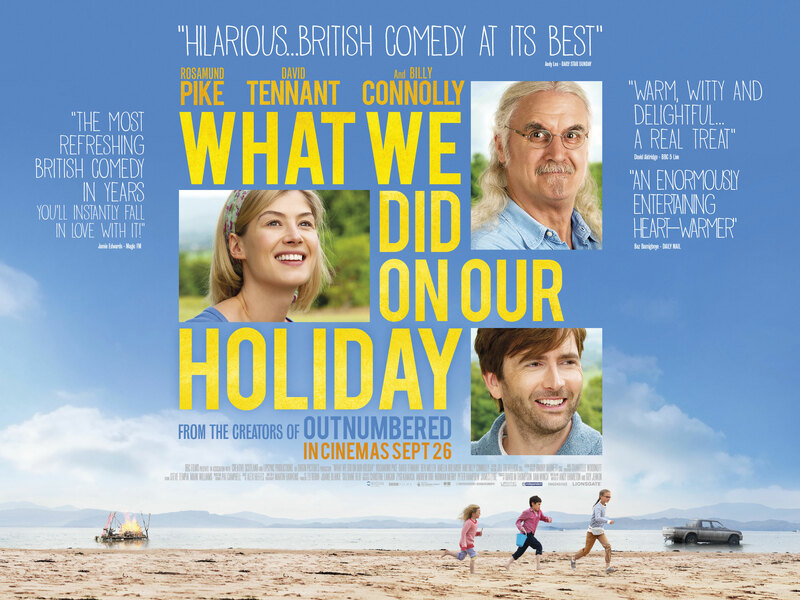 Based on the BBC comedy Outnumbered, this small budget film starring amongst others Dr Who’s David Tennant and comedy legend Billy Connelly tells the story of a separating couple who are headed to Scotland to attend the 80th birthday party of one of their parents who happens to be dying. They don’t want to ruin his birthday so try to keep their status a secret whilst he is fed up of others fretting about his illness and so both he and his grandchildren find relief on their own in the great outdoors. “Are you okay down there?” asks one of the children as they bury Granddad under sand on the beach. “Aye I’m fine apart from some sand up my arse“! This film is frequently laugh out loud though perhaps a little overly long and when Granddad dies and his children give him a Viking funeral as he had hoped, the comedy vanishes for a while but in a very sweet way and reminds us that comedy films should mirror real life and not be disconnected from it. Of course it has one of my favourite lines ever because I spend half of my life stuck on the motorway near my home in Watford just above London. This family have apparently been travelling some time but made just 10 miles on their 600 mile trip and the little boy asks “Is this Scotland?”. Mummy sighs as if she couldn’t be any more depressed… “No darling, this is Watford“. I know how both of them feel. Philomena is another small budget British film which is based on the true story of an elderly Irish lady who like thousands of others in Ireland in the 20th century was forced to give up her children for adoption under the most trying and cruel circumstances. Philomena is played by Judi Dench who is assisted by a journalist played by Steve Coogan and together they head on the trail to try to find out what happened to the baby who through a series of unlikely but true events ends up in a senior position in the Whitehouse but do they track him down too late? This is a sad and moving film but with a touching simplicity and honesty in Philomena that will make you laugh. This is a very quirky comedy with an all-star cast. The story lines are funny and the characterisation is spot on. The film takes a deliberately retro style with its visualisation espousing computer imagery for old-fashioned models. A film that is much funnier and better than one would expect or indeed better than my brief summary which I belatedly included after realising I had left it out entirely! Like The Two Faces of January, both are based on best-selling novels. The Fault In Our Stars is a hilarious though intensely moving, up and down look at two young cancer patients and their refusal to have their identity being solely the wretched disease that they are suffering. I like it too because the characters are intelligent and the actors can recite their lines wonderfully. Lets have more ambitious content for young actors and their audience please. The Book Thief I would give the edge to purely because I liked its period setting and the sweet friendship between the two main children amongst the hell of Nazi Germany. I also liked the concept of the tale being narrated by ‘Death’ and the wonderful performance of Geoffrey Rush. I wrote about Alan Turing and The Imitation Game a week or two before I saw the film. It tells the true and tragic story of computer pioneer Alan Turing who knocked years of WW2 with his vital breaking of the enigma machine and how his life not only falls apart but ends in suicide due to the fact that he was homosexual. A really great film that left me thinking about it for weeks. Kajaki is a modern war film about a routine patrol in Afghanistan for a group of British paratroopers which ends up a total disasters. The film is not your typical gung-ho war film. It’s realistic and tense and the ordinary soldiers do extra ordinarily brave things. Perhaps it is slightly indicative of the differences between British and Hollywood films but this is an absolute gem of a film with performances you can believe in. My blog ended up getting me involved in the publicity of this film in a small way and I’m very glad if it helps in any way the brave survivors of these true life events. Really Mr Turner could be ranked below the films immediately below it on this list but I can’t bring myself to do so as I enjoyed it so much and films aren’t all about cutting edge reality and sad retrospection. Timothy Spall gives such a great performance and its cinematography and amiable story, or indeed lack of one, means I could spend much of my entire life in this world. 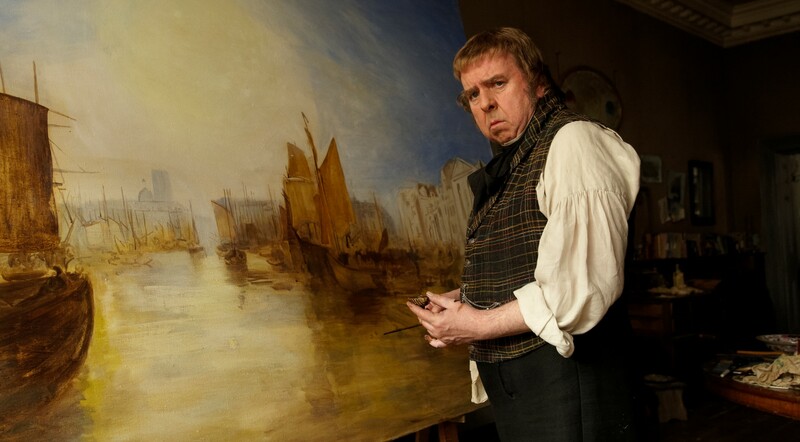 Mr Turner tells the story of one of the world greatest ever painters and his notoriously unique personality. I enjoyed it from start to finish, a beautiful film that is beautiful to look at. Technically this film came out in the USA in 2013 but I am sure it came out in the UK in January 2014 and so that is why I am including it. The Wolf of Wall Street tells the true story of Wall Street trader Jordan Belfort whose charisma coupled with increasingly unscrupulous business practices takes him from rags to extreme riches only for his empire to totally fall apart. This film was amazing and throughly enjoyable. As bad as Jordan Belfort undoubtedly is, I couldn’t help admiring him. He made the most of what he had rather than sit on his behind all day as so many people do. Leonardo DiCaprio gives another great performance and like The Great Gatsby last year, has some how ended it up in another phenomenal film. Notable mentions go to Nebraska which came out last year but I only got to see this year. I really liked that film. Also to The Theory of Everything which tells the story of the remarkable Professor Stephen Hawking. Unfortunately I won’t go to see that at the cinema as I have a deeply held frustration with its leading actor Eddie Redmayne whose tendency to mumble his words has ruined more than one show for me leaving me to dwell on his unnaturally bleached white teeth. It sounds a bit strange but if movie studios hire ‘big name’ actors to get audience bums on seats then it stands to reason that those of us who prefer to see performances above stars might choose to opt out from their wares every now and then. 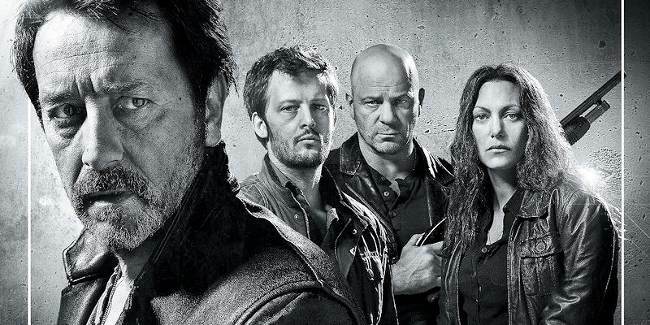 Whilst I am here, I thought I would list out my favourite TV shows of 2014 too. 10. Braquo / Peaky Blinders – Peaky Blinders is an extremely violent BBC drama about the criminal underworld in Birmingham in the 1920’s is often shocking but always well-told. In truth I rather like more sedate shows like Vera or Inspector Gently especially as they feature the beautiful countryside of my childhood home but Peaky Blinders was just too good to miss off this list. Similar Braquo, the hard-hitting and often shocking police drama was apparently wrapped up for good with the conclusion of its 3rd season. However can they leave it all with Roxeanne buried alive in the coffin, I guess if she gets rescued depends on whether the shooting we hear when the screen turns to black is of Caplan shooting Vogel dead or in the leg. If they don’t let us know what happens then the word Merde comes to mind. The most messed up Police in the world and they’re in Paris. 9. Mr. Selfridge is a period show on ITV and appeals to many of the same people who like Downton Abbey. It also airs on the same cosy Sunday night time slot and tells the true life story of American born Mr Selfridge who decides to bring his revolutionary ideas of shopping to London. Whilst not quite as good as Downton, it’s still very enjoyable and the coming third year will be interesting to see following the untimely but accurate death of Selfridges wife. It must turn out okay though as his department store is still one of the most popular in London. 8. Dallas – It’s probably not the type of show you imagine me to watch but I do every week and it is pretty much the most satisfying ‘drama’ if it can be called that on the box. So many twists and turns and genuine drama this year following the sad events of JR Ewing and the actor who portrayed him who died last year. Sadly despite it being a huge overseas hit and money-spinner, the American TV network has cancelled the show on an incredible cliff-hanger. Idiots! 6. 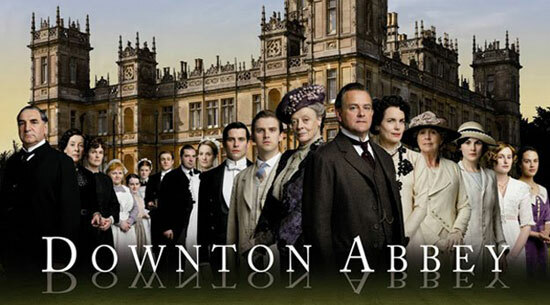 Downton Abbey – We’ve just had its fifth series over here with year 5 starting in the USA in January. It produces exactly more of the same so if you already like it then you’re in luck. I always wait eagerly for this through the year for more put-downs by Cousin Violet, wonderful costumes and the feeling that I am far too much like Mr. Carson for my own good though I love him all the same. I took a tour to Highclere Castle in July and I always expected the actors to appear, now when I watch the show I know exactly where everything is and the bits of the house that are never shown. 5. Game of Thrones – I watch this on Blu-Ray as I don’t believe in subscribing to Rupert Murdoch’s Sky TV in the UK so am a year behind. GoT consistently tells its story in a complicated and realistic manner with doses of humour, death and lots of good acting and one-liners. I’m still rooting for ‘the little man’ and Khaleesi especially now her dragons are growing up. Someone knock-off the odious Joffrey soon! 4. Not Going Out – This BBC comedy is still as hilarious as it was when it started many moons ago. Lee Mack has the best comic timing and delivery of anyone going at the moment. It’s too funny for its own good. 3. Fargo – Based on the hit movie of the same name. The performances on this were exceptional. A really grim but funny story of a used car-salesman who becomes involved with a psychotic killer which then spins out a chain of events far beyond his control. I loved this show. 2. The Bridge – Can it be a year ago since we all waited to catch up with our favourite Scandinavian misfit detective team? Could it live up to the out of this world season 1? As it happened, yes it could. Saga is even more intriguing and endearing than before and Martin starts of delighted to see his old comrade again begins to spiral onto a a very understandable downward spiral. Once again we see lots of very stark and moody Swedish and Danish wintry streetscapes and the plots again leave us dangling from week to week. We have another year before we can say Hej to Saga and Martin again but I’m sure it will be well worth the wait. A ship is found deserted with prisoners on it, they just happen to have The Plague. Martin is grey and and angry, Saga is cool as ever in more ways than one. 1. 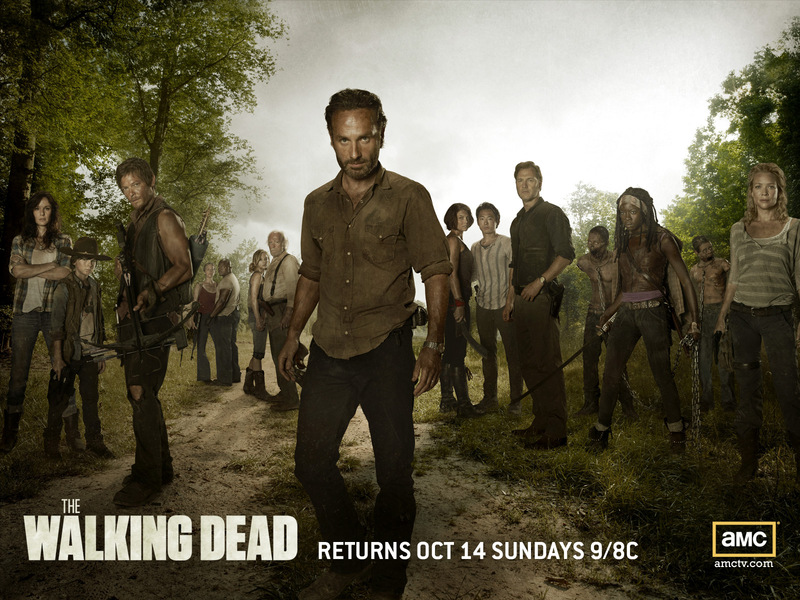 The Walking Dead – Granted I cheated and watched 4 or 5 years of this show in one zombie packed month but this for me is what television should be about. Telling unique and exciting stories where you cannot be sure if your favourite character will survive. Most on-edge show since Spartacus and for those of you who saw the last episode, I guess you’re all as bummed as I was with the results of the stand-off in the hospital. This entry was posted in Movies and Films, Popular Culture, television and tagged 2014, Cinema, Culture, Dallas, Downton Abbey, Kajaki, Life, movies, Reviews, television, The Walking Dead, TV, Wolf of WallStreet. Bookmark the permalink. A lot of movies in your top 10 I have not seen yet. As for the TV shows it is nice to see The Bridge mentioned, which I also thoroughly enjoyed. The one I’m missing though is True Detective. Have you seen that one? I’m glad that you enjoyed The Bridge too. It’s one of a kind. I saw the adverts for true Detective but somehow missed the entire run of shows. I am going to have to catch up, thanks for reminding me and for commenting! You’ve just reminded me to watch The Two Faces of January thanks Stephen! Some great movies here – I loved The Imitation Game and still need to see Paddington! I need to make a list…! You will like both of those movies. I’d like to know what you make of The Two Faces of January.